“Wesley was involved in a civil suit stating that he was careless and negligent and may have been speeding in a March, 2010 collision on Chicago’s South Side. Illinois Secretary of State records show that Wesley lost his license after that accident. While the accident victims’ families and friends are left to grieve these losses, with many questions left unanswered, officials at the Department of Public Health say they are checking the driver’s records to see if anything should have prevented him from having an Emergency Medical Technician (EMT) license. The National Highway Traffic Safety Administration (NHTSA) says the nation averages 33 fatalities involving ambulance crashes annually. It takes time to understand the causes and effects of crashes like this but that doesn’t change the fact that patient safety remains the responsibility of ambulance drivers and EMTs while under their care. If an accident happens and injuries or wrongful death have occurred, there could be a case for negligence. Until more facts are known, it’s unfair to presume any one person or company is to blame for this tragic wreck, but if Excel didn’t follow regulatory compliance requirements for hiring and managing employees and then posed a risk to others, there could trouble ahead. 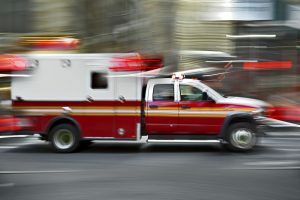 If you or a loved one has been involved in an accident due to an ambulance driver or EMT negligence, simply call us at 877-374-1417 or connect with us via our free online personal injury case evaluation form and a Levin & Perconti attorney will call you back promptly to discuss your legal options. You will never pay a fee unless we successfully resolve your case.